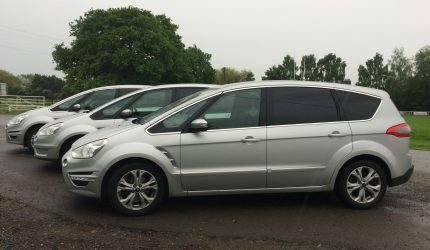 airport cars cambridge – Ground transport. Solved. So there we were yesterday, the 6th June 2018, heading for Stansted Airport to collect our clients. Moving along quite nicely, heading south from Cambridge, we got to within 2 miles of the Stansted Airport junction on the M11….. and then crawled along for around 40 minutes in heavy traffic to get to the turn off. Judging by the number of drivers who, perhaps in desperation, decided to ignore the highway code and risk a large fine and/or conviction by scooting down the hard shoulder I am guessing that a fair few flights were missed. As I said, we were picking up and had left plenty of time, so when we got the call to enter the quick pick up zone and collect our clients we were ready and waiting circa 2 minutes drive away. When we set off to pick up our passengers there was no indication that a car and a petrol tanker were going to collide on the M11 somewhere near Harlow. By the time we had crawled the two miles to the M11/A120 exit the queues for Stansted Airport, from both north and south were massive; the northbound traffic was queueing from the M25! So take your laptop… or a book and leave yourself a bit more time to get to the airport. Allowing an extra 30/45 minutes may still not be enough given the chaos that ensues on our motorway & road networks when accidents or bad weather get in the way but by allowing that extra time it’s amazing how much more relaxing the trip to the airport is and that’s a good way to start any journey. At the worst you will be able to relax at the airport and perhaps get a bite to eat…. at best it could save you from a missed flight. Call Airport Cars Cambridge to get you to or from the airport today. 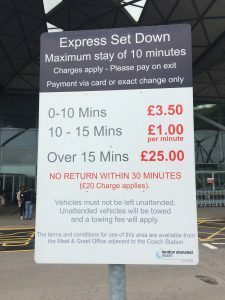 The easiest way to get into and out of Stansted Airport is the quick drop and pick up point if you have limited luggage or just want a quick exit. Here are the latest fee’s charged by the Airport. What do you look for when booking an airport transfer company? 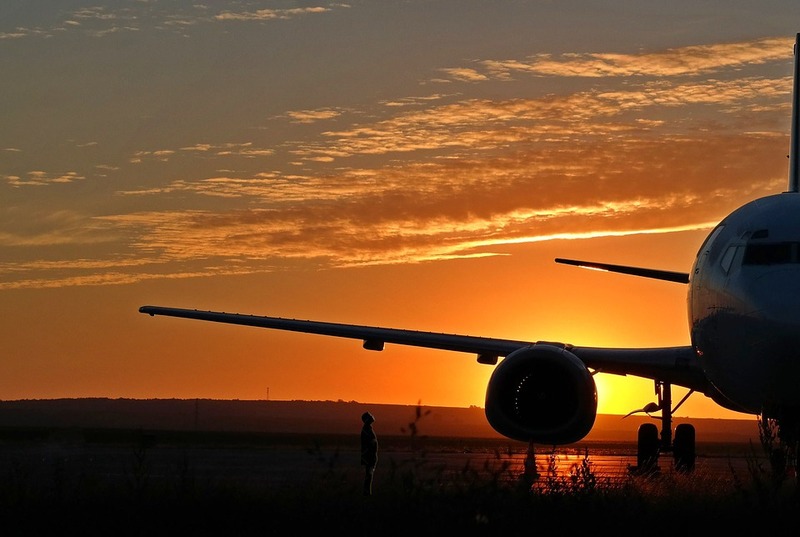 Having a trusted, reliable company – who you know will be there at the right time (whatever hour of the day or night that may be) to get you to your airport and catch your flight in good time, with the minimum of fuss has got to be the main criteria – hasn’t it? Join our growing list of corporate and personal customers who come back to us time and time again. 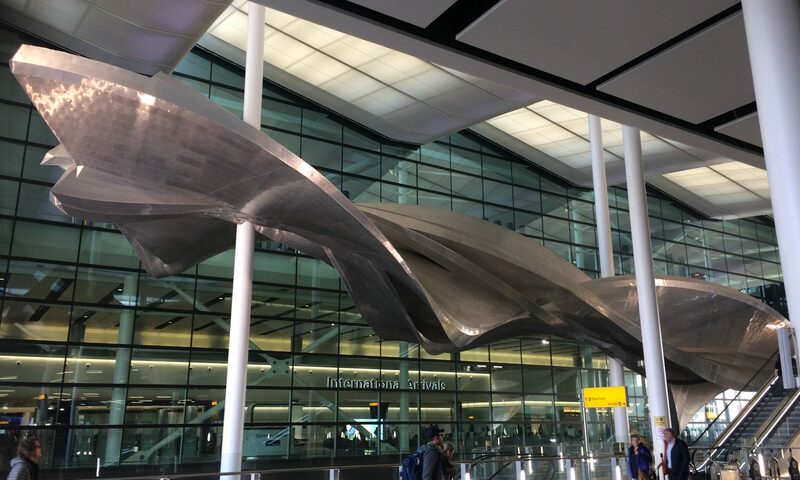 We cover Heathrow, Stansted Luton and all other major UK airports. Where will we meet & greet you at London Heathrow Airport? Of course this depends on which Terminal you are coming into when you land at London Heathrow Airport. When you get to the Arrivals Hall with your luggage most clients turn right and follow the long barriers – this eventually opens up and passengers either head to the W H Smith retail outlet or the Nero coffee shop which is straight ahead. Your driver will wait, with a name board/company sign board, next to the large yellow illuminated post at the end of the arrivals section. The Arrivals Hall is bordered by rails and which direct you straight ahead, the barriers end and the hall opens out and directs you to the right – you will then be facing a Boots retail outlet. Your driver will wait, with a name board/company sign board next to the large Blue illuminated BOOTS shop sign. As you come through the doors to the Arrivals hall there is a COSTA coffee shop in front of you. Your driver will wait, with a name board/company sign board next to the bench seats at the front of the Costa Coffee outlet. The Arrivals Hall has exits at both ends, as you turn into the hall there is a COSTA coffee outlet straight in front of you. Your driver will wait, with a name board/company sign board at the front edge of the coffee shop or to the left of the shop as you face it – under the large COSTA sign. Reliable, efficient and comfortable transfers to and from all UK airports for private and business travel.